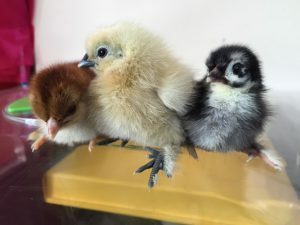 Discover the wonder of hatching chicks and learning at the same time with a ‘hands on’ experience. We are now fully booked for Spring 2019, we still have a few dates in June & July. 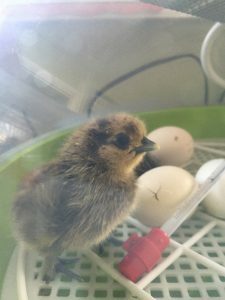 Our service offers schools, nurseries and homes the opportunity to hatch eggs and enjoy the chicks. Bantam Hatch-a selection of pure and rare breed bantams, perfect for little hands to hold & they stay cute and fluffy for longer. It’s a fantastic way to experience the excitement of chicks in the classroom. Our incubators are fully automatic and during the incubation period will regularly turn the eggs. The eggs take 21 days to develop (ducklings take 28 days) and within the last few days you can hear the eggs ‘cheep’. Once they have hatched they can be moved to the ‘broody box’. We will set up all the equipment and train staff on all aspects of the hatching process. We will also provide activities related to the chicks and hatching. At the end of the hire period we will remove all the equipment and the chicks. The setting has the option to keep the chicks or we will bring them back to HQ to continue developing. All of our electrical equipment is PAT tested and fully risk assessments are provided. Available from March (once we have checked the fertility of the boys) until Mid October, we do needed at least 4 weeks notice prior to the commencement of hire to allow us to collect and begin to incubate the eggs. Contact us for a bespoke quotation. We will collect the chicks and equipment at the end of the hire period. Once you have hatched your chicks via the ‘Quick Hatch’ at the end of the 2 week hire you have the option to grow your chicks on. 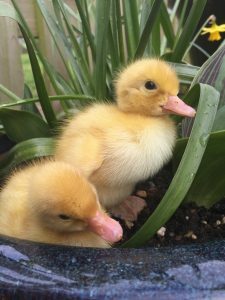 Experience the chicks move through to young adult hood and grow their full feathers. Keep the chicks for a further 4 weeks. Chicks can be returned at end of ‘Watch us Grow’ hire period or hen house purchased to keep hens at school. We do our best to provide you with fertile hatching eggs but at times working with Mother Nature doesn’t always go quite to plan. Don’t worry we always have a plan B to ensure you get the most from your hatching experience. Hi Claire. Many thanks for this – the children have absolutely loved it (as well as the parents and Staff!). The timing was perfect. Definitely has the wow factor. Having the chicks develop so quickly was startling to watch. We got them on Day 1 as tiny fluffy things which could hardly walk in a straight line and by Day 3 they had developed flight feathers, could run around and even attempt to fly. Brilliant!The incubator was another story. Seeing a tiny hole appearing, followed by the occasional cheep only led to a sense of paternal worrying! Will they get out, will they hatch? Eventually I gave one a slight help with a bit of the egg shell but you know within an hour it was up standing. I definitely would recommend Claire and her kit, do it, its great!